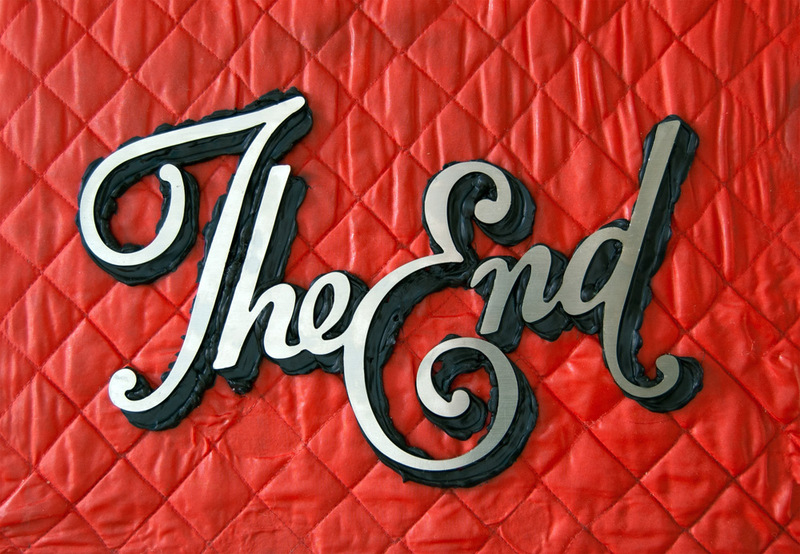 This is the first in a series of handmade artwork; ‘end title’ graphics for imaginary movies. In this case the artwork is made from: 4mm watercut stainless steel. The word is solidly stuck to the inside of an old sailing jacket. With a very sticky glue called Sikaflex (used to waterproof wooden ship decks). This could have been the end title of a Mutiny on the bounty type sea adventure. If I had art directed it, it would have been a mix of wide seascape shots and extreme zooming in on details (especially towards the end). In this ‘freestyle’ example, I make the handmade artwork / object and the story. You can hire me to make one-off handmade artwork designs for you; handmade graphics that suit your title and content, after it has been written or composed. 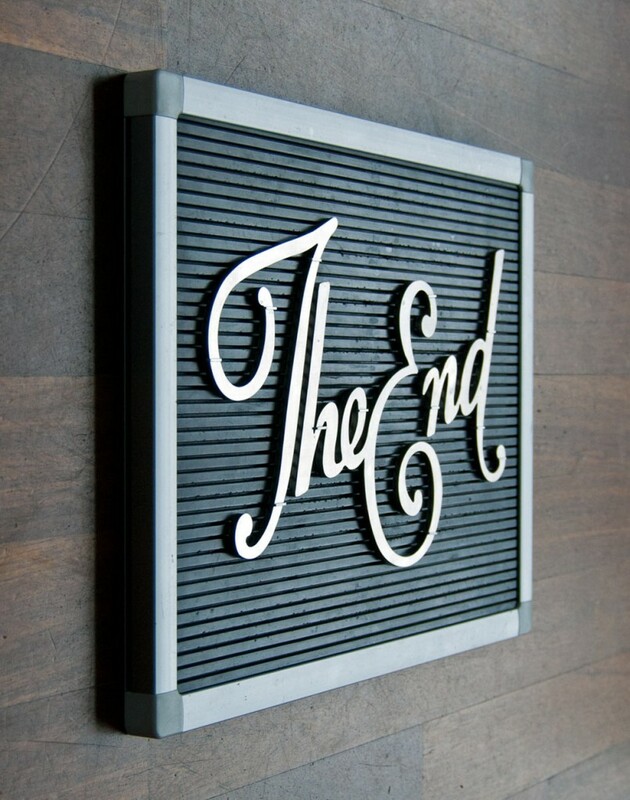 Constructed End title graphics for an imaginary gunslinger movie.